Country music entertainer Jason Aldean gives fans a glimpse into his current reality with a newborn baby on the scene! View Memphis' latest photos here! Country music superstar Jason Aldean hilariously took to his Instagram account to show fans that his newborn baby boy, Memphis, isn’t 100 percent calm all the time. “[Brittany Aldean] is always posting pics of Memphis that are good, But this is actually the stuff she doesnt post. #reallife #hangry,” Jason captioned the snapshot below. Goodness his eyes are blue! 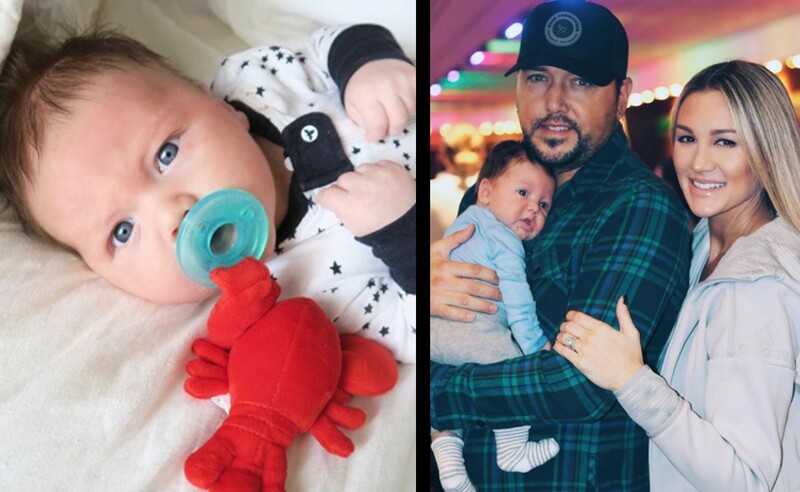 Here are some other recent photos of baby Aldean to check out! Jason and Brittany welcomed Memphis Aldean Williams on Friday, December 1st at 1:29PM. He weighed 9 lbs., 5 oz. at birth. He’s now seven weeks old and getting cuter by the moment! Share this update with other fans of the Aldean family!